Augustana holds a place as one of only a few universities nationwide to offer an anthropology program specializing in the study of “Plains Pre-History.” It's also one of a handful of institutions in North America to offer undergraduate students field study opportunities — on-the-ground, in-the-dirt research initiatives designed to uncover and research pre-historic artifacts. 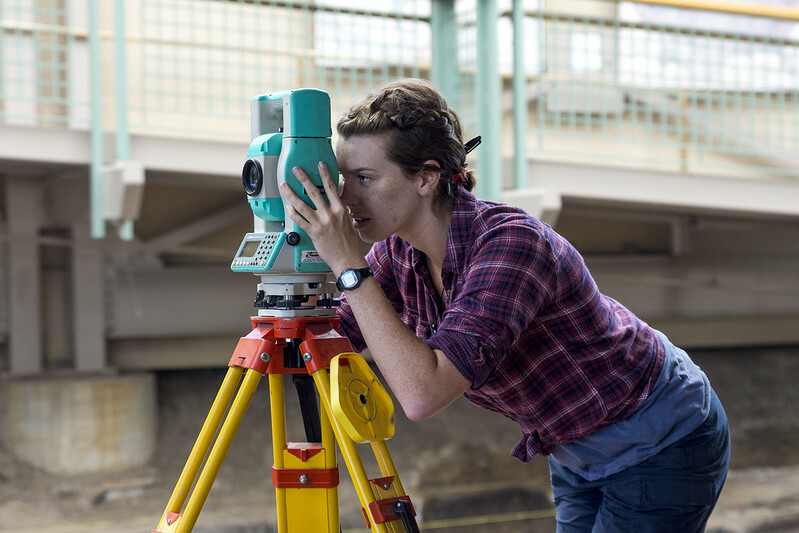 Through its Augustana-Exeter Exchange Program, AU anthropology majors spend three years on campus and one year abroad at the University of Exeter, a university recognized internationally for its archeology program. In turn, the University of Exeter sends about 20 students from its archeology program to Augustana’s South Dakota field school each summer. Along with Augustana students, University of Exeter students spend about four weeks excavating and researching at the Thomsen Center Archeodome, an indoor research and teaching facility located on the site of the Mitchell Prehistoric Indian Village. There, students learn first-hand that in order to gauge for the future, you must first learn about the past. Learn about the prehistoric excavations Augustana and Exeter students are leading in Mitchell this summer. A thousand years after it burned out, a prehistoric fire may still make an impact on 17 students who are in Mitchell. For the 14th year, Mitchell’s Prehistoric Indian Village has welcomed university students to excavate inside the Thomsen Center Archeodome. And the aspiring archeologists may get a rare glimpse this year into what daily life looked like at the site 1,000 years ago.